Cloud9 as clear favorite in duel versus Winstrike has done as expected. Final result 19:16 in overtime on Inferno shows that it wasn’t as easy at it looked after first half. Cloud9 started as reigning champion should do it – strong. They’ve allowed only 3 rounds to Winstrike‘s T side and did great job for themselves in second half. 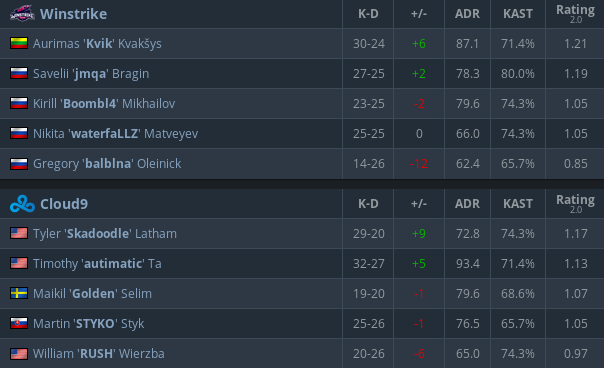 Winstrike didn’t have much to say as they’ve been stomped by great Cloud9 CT side where Tyler “Skadoodle” Latham dominated in multiple rounds with 3+ kills. When everyone expected Cloud9 to easily finish the game(needed only 4 rounds) Winstrike decided to make things hard. Amazing CT side by Winstrike where they’ve allowed only 2 T rounds to Cloud9 in 13 rounds – 14:14 – got match to a nerve wrecking situation. Cloud9 won a good split on A site for a match point but Winstrike managed to survive in the last round to secure overtime. Cloud9 had perfect overtime as they’ve won all 3 rounds without much effort. First round for Winstrike as T’s was hectic as hell. They’ve pushed B site and when it looked that Cloud9 will prevail Gregory “balblna” Oleinick made amazing move – he didn’t plant but pushed back banana and kills 2 Cloud9 players – which brought them first round. 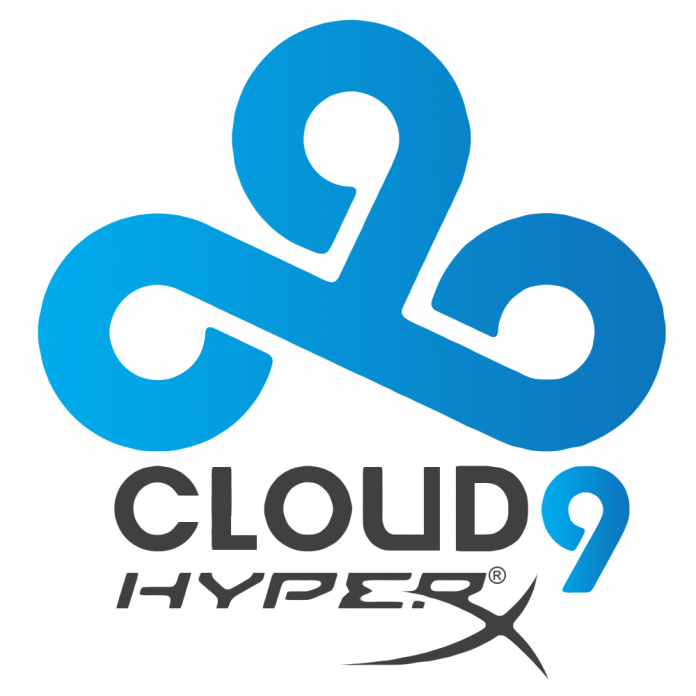 However Cloud9 manages to get that one required round as Timothy “autimatic” Ta and Tyler “Skadoodle” Latham both gets double kills and defuse in the end. Cloud9 is now 1:2 and will keep fighting to LEGENDS status while Winstrike is packing home. It’s unfortunate for Winstrike – since they’ve lost 0-3 in total – that they will have to re-qualify for Major trough Minor.